New Sonnentor Products: "Wake Me Up"! Discover two fun boxes full of clever spice blends to inspire healthy eating! 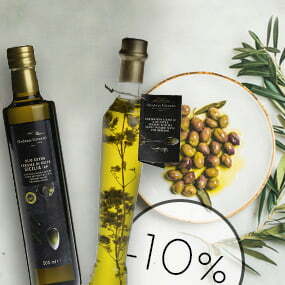 Enjoy 10% off Modena Estense Olive Oils! Offer ends on 23.04.2019. Looking for ideas for Easter presents? 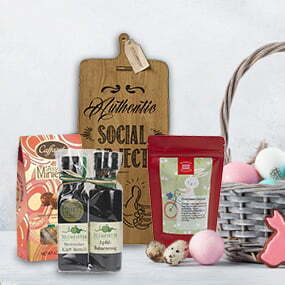 Stop by Piccantino & find the right goodies for your Easter baskets! For every Demmers Teehaus order, you'll receive a tea set with a fruit tea & tea timer for free! Valid while stock lasts. It's Easter at STAUD's Manufaktur! Discover the sweetest temptations made by STAUD'S! Great gift ideas! Add more flavour to your favourite dishes! New! Products by Thomas Henry! First-Class Tonic Water from Berlin! Spices & Flavours from around the world! This classic Austrian spring herb not only has a great flavour, it's also really healthy. Read more about it here! You thought you were the only one with a coffee addiction? Bees love coffee too! Why is that? Find out here! What would Christmas be without your favourite spices? It simply wouldn't feel like Christmas.